Everywhere you look you will find an opinion about what to eat for weight loss or which foods are the best for health or sports performance. Having been a dietitian for close to 20 years I’ve seen just about every eating style and diet you can imagine – most of which contradict one another. There have been a range of low-carb diets such as the paleo diet that preach the opposite of high-carb eating styles such as plant based vegan diets. We have also seen low-fat diets, detox and cleansing regimes, intermittent fasting and most recently a rise in the keto diet. While I do consider the keto diet just another diet that will come and go similar to the Atkins diet and South Beach diet that you now hear very little about, you may be curious about this eating plan. You may be wondering what the keto diet is all about and if there is some benefit. Read on for the answers to these questions and more. The keto (ketogenic) diet in a nutshell involves restricting your diet severely of carbohydrates which causes your liver to turn fat and certain amino acids into ketones which is an alternative fuel source for the brain. The brain runs exclusively on either glucose (carbohydrate) or ketones to stay alive. Carbohydrates are found in grains/starches (such as pasta, rice, potatoes, legumes or cereal) as well as fruits, vegetables, yogurt, milk, sweets, sauces and more. Carbohydrates are restricted typically less than 50 grams per day on a keto diet. This is the amount of carbohydrates found in only 1 cup of rice (or 1 banana plus 1 apple). The keto diet is not a high protein diet. It is a low-carb, high-fat diet typically containing a percentage of total calories as follows: 5% carbohydrates, 75% fat, 20% protein. (By contrast, National health guidelines suggest 45-65% carbohydrates, 20-35% fat and 10-35% of total calories as protein). Which foods are permitted on a keto diet? I’ve noticed many people say they are on a keto diet but in actual fact, they are not based on the food choices they are consuming. To truly be in ketosis where your body is turning fat and certain amino acids into ketones you must be following an extremely restrictive diet. Followers of the keto diet eat meat, poultry, fish, seafood, eggs, cheese, bacon, butter, whipping cream, avocados, oil, nuts, seeds, low-carb veggies and lower carb fruits eaten only sparingly. While this may seem appealing, sustainability is a huge challenge because of the long list of restrictions. Keto followers cut out grains (such as rice, quinoa, bread and oatmeal), starches (such as potatoes and corn), legumes (such as lentils, chick peas and black beans) as well as milk, yogurt, sweets, desserts, potato chips, sweet sauces, most fruit and higher-carb vegetables. 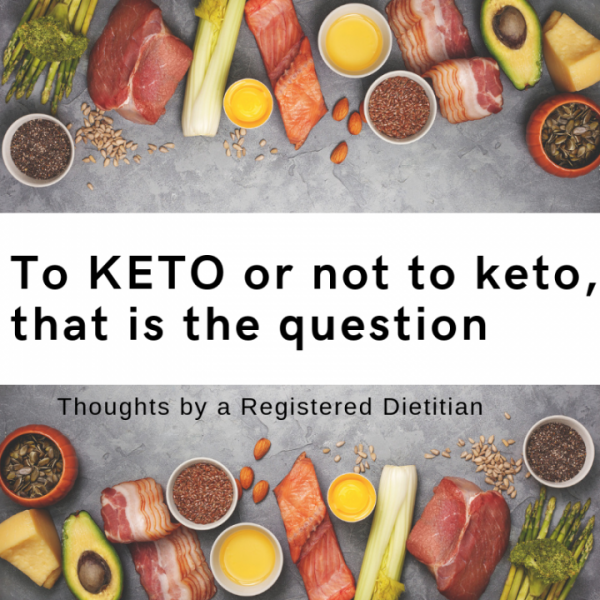 Are there medical reasons someone would choose to follow a keto diet? The keto diet has some clinical relevance for individuals with epilepsy for seizure management that has not responded to traditional medication. The keto diet is also being studied in some interesting scientific research for multiple sclerosis, parkinson’s disease, alzheimer’s disease, diabetes, high cholesterol levels and cancer. But remember something very important. Just because you saw a single study that showed promise doesn’t mean you should change your eating style based on that study. Research studies vary in credibility and meaning. We can’t make blanket statements about what to eat based on one study on mice or a short term study over a week on a sample size of 10 people that didn’t control for other lifestyle factors. Trust science…Remember that science involves both the approach of being inquisitive and skeptical at the same time. This means we should all remain open to what high quality scientific research on the keto diet will show in the future, but we shouldn’t be jumping to conclusions that are not available yet. 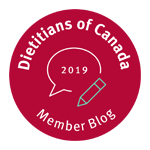 Work with an experienced Registered Dietitian and your medical specialist to help you sort through and make sense of the research and determine the best eating plan for your needs. Would you recommend the keto diet for weight loss? You may reduce your overall calories by simply having less food choices to choose from. Carbohydrates store water and if you eat less carbs you will lose water weight. You may be eating more protein and fat as a result of reducing your intake of carbohydrates which could work to provide satiety. BUT While you could lose weight following a keto diet (or any other diet) I am not an advocate for unnecessary restrictions or extreme eating regimes or dieting behavior. I stand for balance, variety and maintaining enough fun and flexibility in your eating style to live your best life. It is no surprise not all eating plans are actually good for health. You could follow a keto diet that exclusively had you eating meat, butter, bacon and avocado and this would not lead to good health even if you did lose weight. Given the wide range of foods limited from this diet the keto diet is likely low in fibre, certain vitamins and minerals as well as key phytonutrients supplied by plant-based foods that are naturally high in carbohydrates. Scientific research has clearly shown the benefit of many plant based foods such as fruits, vegetables, legumes and whole grains that are not permitted on the keto diet. Research has shown that over time the same amount of weight will be lost following a low-carb diet or high-carb diet (or any other variation of a diet) as long as the calories are the same. While the initial loss of weight on a lower-carb diet is often higher (often due to the fact that there is a large water loss off the body when you take out carbs from your diet), over time weight loss will be about the same. Is the keto diet a good eating style for athletes? No. While the are some studies that show mixed results, the overwhelming majority of high-quality sports nutrition research supports the benefit of consuming a good amount of carbohydrates for sports performance. Athletes and fitness enthusiasts that are involved in high intensity or long duration training and following a keto diet will likely not have the adequate muscle fuel required to perform at their best, increase strength, sustain endurance, build muscle and recovery properly. What is the bottom line about the keto diet? Your brain and muscles run on carbs, when carbs are not available you will not be fueled with the gasoline source for your brain and muscles. An insufficient amount of carbohydrate in your diet and running on ketones can cause fatigue, poor concentration and can reduce overall mood, mental health and productivity through your day. Insufficient carbohydrates for your muscles can also lead to worsening athletic performance, poor recovery and inability to repair and build muscle. Sustainability is a huge concern with the limited variety of foods consumed on this diet and any amount of weight lost on the keto diet due to water loss or to a reduction in overall calories simply will be regained when you return to a normal diet. Unless in the rare case your neurologist has recommended the keto diet as a potential adjunct treatment for epilepsy, skip this diet. 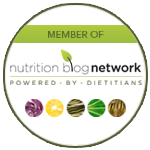 Continue following the science to remain inquisitive and skeptical of keto diet claims and work with an experienced Registered Dietitian and your medical specialist to help you personally review the research and determine the best eating style for you. 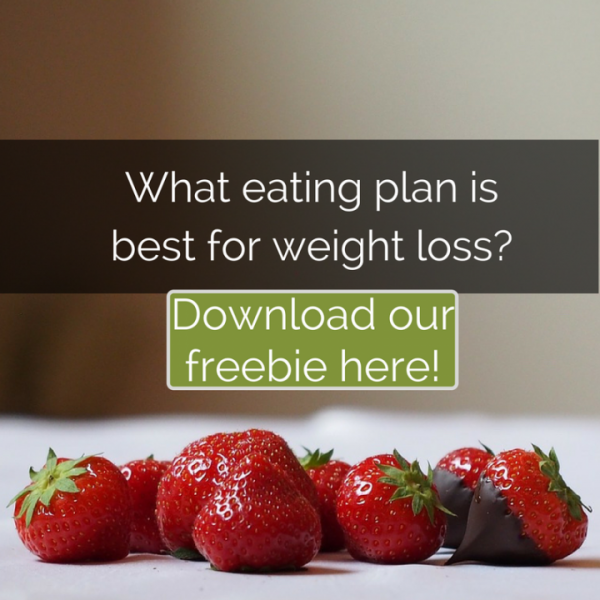 If you have a chronic history of dieting or an eating disorder the keto diet will also likely increase obsessive thinking about food, bingeing and further damage your relationship with food and your body. 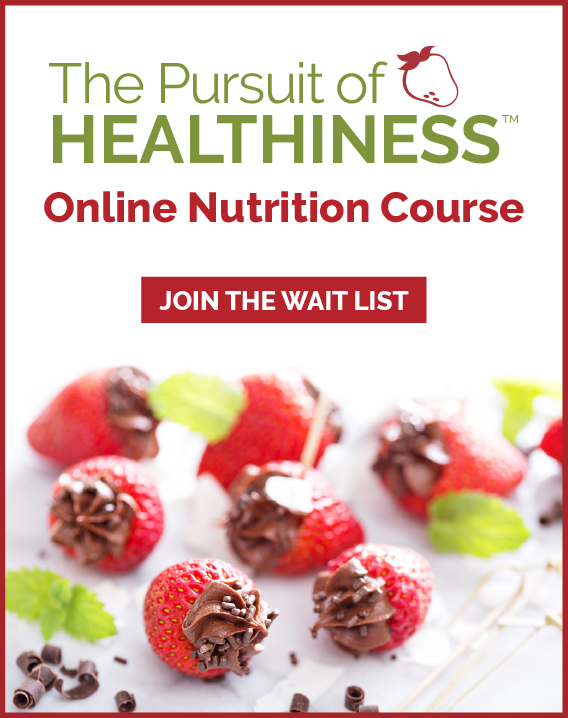 Before following the keto diet remember that history has shown us that similar diets are difficult to follow and full of restrictions that make living a balanced life difficult. Eating dinner with your family, eating out socially, going on vacation and role modelling a non-dieting relationship for your kids all become very challenging following a keto diet. Eating well should not be painful, taste terrible or be a punishing regime. There are many ways to eat well. Remove the word ‘diet’ from your vocabulary and go for an eating lifestyle full of as much variety and as few restrictions as possible. If you can’t see yourself following a nutrition or food plan FOREVER, your energy, health or weight will continue to yo-yo up or down. The idea you can restrict, cleanse or detox now, and then return to having a life later just won’t work to provide lasting results. The best eating plan is the one you can live with for life.